Unit 8200, the Israeli military's NSA equivalent, is collaborating with the Israeli ministry of education on a new big data training program for the country's high schoolers, according to two high ranking unit officers who were interviewed by Calcalist last week on conditions of anonymity. The new program is intended to provide Israel's security and intelligence arms, including Unit 8200, the Mossad and Israel's internal security service, with pre-trained recruits. As part of the program, big data courses will be offered to Israeli high schoolers. To increase the numbers of potential recruits, the Israeli military and Unit 8200 need to seed early training programs, one of these officers said. Israel relies heavily on pervasive signal intelligence capabilities in Gaza and the West Bank to combat terrorism. In the past years, Israeli government officials, and Israeli military officers have repeatedly referred to the increased use of big data capabilities to counter terror attacks, including through social media monitoring. Use of such tools has been especially crucial for Israel's efforts to curtail a wave of attacks carried out by Palestinians with no known affiliation to terror organizations. “We use big data technologies to attain the intelligence capabilities required to handle security challenges, starting with terror coming from the West Bank,” said one of the high ranking officers interviewed by Calcalist. 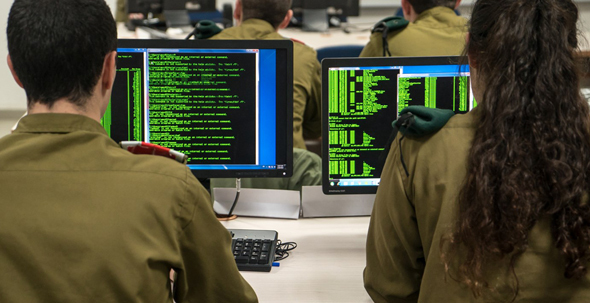 The Israeli military is already operating a similar program focused on offering Israeli high schoolers a comprehensive cybersecurity curriculum. As part of the program, Israeli high-schoolers aged 16-18 that choose to do so major in cybersecurity, attending workshops and participating in related summer camps. A military service at Unit 8200 and other elite military technology unit is regarded as a sure path to higher income jobs in Israel, and many of the veterans of these units join Israeli tech companies or start new ones. Companies founded by veterans of Unit 8200 include Nasdaq listed Check Point Software Technologies Ltd., NICE Systems Ltd., and NYSE listed, U.S.-based Palo Alto Networks. Israeli high-schoolers that will participate in the new big data training program will also be eligible for university credits and will be able to register for related academic programs. "We'll recruit them after partial or full academic training. After completing their mandatory military service they’ll step into the job market equipped with relevant experience,” one of the officers interviewed said. Last week, a first of its kind big data conference was held at the headquarters of Unit 8200, with the purpose of coordinating related initiatives among Israel’s various security and intelligence arms. Over 200 high-ranking officers from the Israeli military, Mossad, Israel’s Internal security service and Israeli police participated. As part of the event, specialized joint work teams were formed. "As things currently stand, there is almost no intelligence issue discussed in the military, on both the operational and the decision-making levels, in which big data doesn't come up," one of the officers interviewed by Calcalist said.